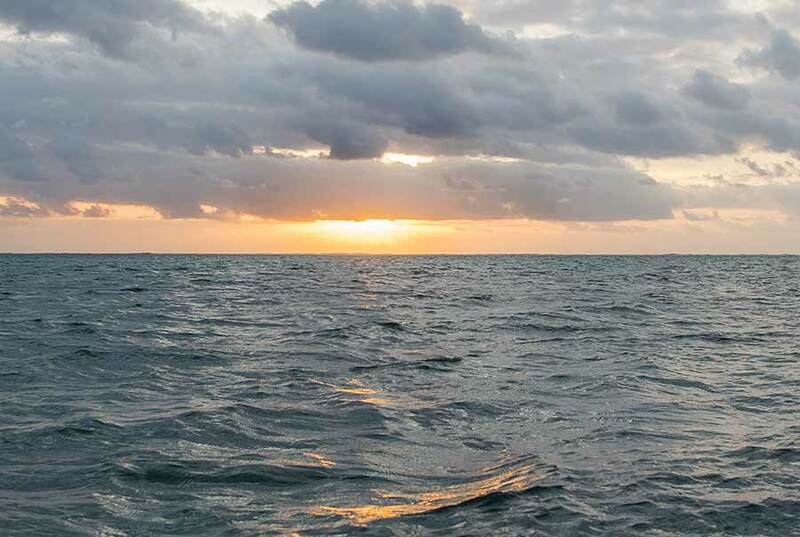 Belize NMS: Cool and relatively moist conditions persist. 24-hour forecast: Sunny with cloudy spells today and cloudy skies tonight. Showers will be isolated, increasing over the coast and south tonight. General Outlook: A few showers will develop over the coast Sunday morning, becoming isolated later in the day. Today N-NE 5-15 kts Choppy-Moderate 5-7 ft ISOLATED SHOWERS. Tonight E-NE 5-15 kts Choppy-Moderate 4-6 ft A FEW SHOWERS. Tomorrow E 5-15 kts Choppy 3-5 ft A FEW SHOWERS, DECREASING. Outlook E 5-15 kts Choppy 3-5 ft ISOLATED SHOWERS. On Ambergris Caye this morning the wind is from the N-NE at 15 mph. making the sea around the Barrier Reef choppy. 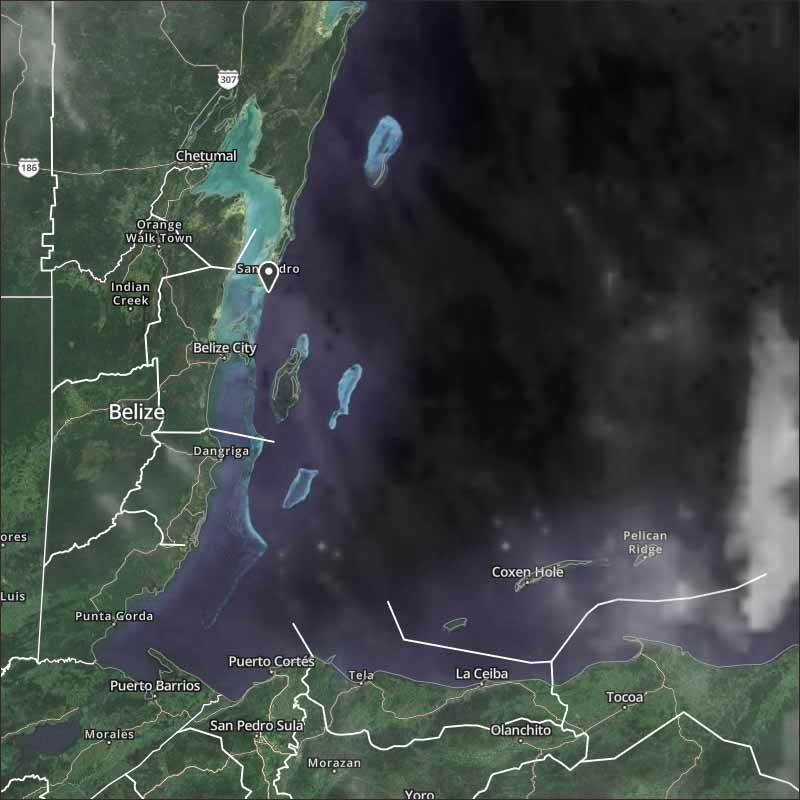 Our expected high today is 79 f.
Presently there are two dominant cloud areas covering much of Belize. 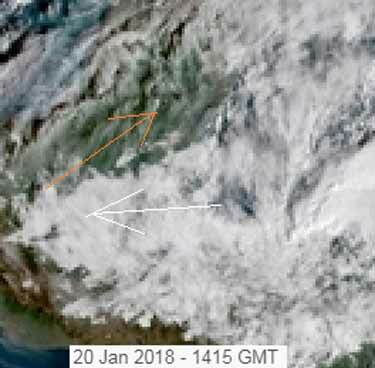 The Caribbean winds are again from the east, with a lot of cloud over southern Belize and fairly large heavy area over most of central Belize, but not Corozal area. then the high level cloud, which is actually generally fairly thin, is coming over, from the SW. There is no surface wind over central Belize at present. 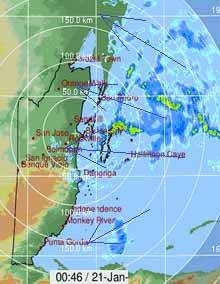 Despite the heavy clouds, particularly out at sea, there was no rain showing on the radar at and before 6am, the radar not having been updated since then. Looks as if much of today will be cloudy, at least for central and south areas, some glimpses of sun later, little or no rain, although could be some later, particularly in the south. A fair bit of sun in the north.